The moments and fragments by which lives are remembered can seem random, but in the emergent patterns we recognise sophisticated coping mechanisms and, in work of this kind by a great artist, transformation. 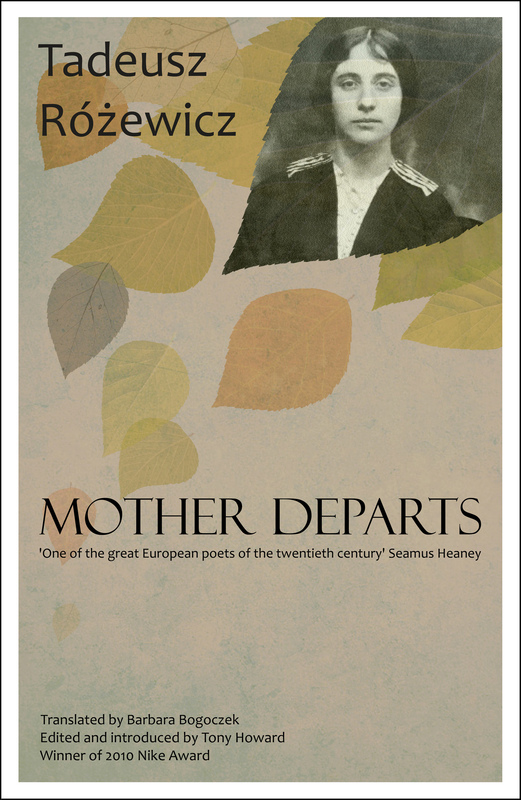 The book’s form situates the mother figure at the centre of narrative and text, ensuring that far from departing, she is ever present. With its montage of different voices (that of Tadeusz’s mother, Stefania; those of his brothers Janusz and Stanislaw; the several forms of his own voice in prose and poems, diaries and reflections) speaking from the wide historical and emotional sweep of the subject matter (a family in Poland 1900-1982), the book holds Stefania’s testimony and the testimonies of her sons. It becomes a memorial to them all, not in a fixed way, as a tomb or single poem might, but respecting the shifting nature of recollection. ‘a woman in black walks on roses’ demonstrates Różewicz’s exceptional empathic powers allowing him to take the point of view of the mother watching the son leave, as well as the point of view of the son leaving the mother. I was mesmerised in this and other poems by such pure expressions of the terrible normal dilemmas of being human – love and loss, attachment destined for detachment, hope and despair, faith and doubt. The Gliwice Diary, placed after the poems, and chronicling Tadeusz’s experience of events around his mother’s death in 1957, takes us back into raw loss. But because we are already aware of this death through the poems, and feel we ‘know’ the dying person, and because there are sections yet to come, the diary somehow holds hindsight, distance. We know this moment too will pass. There are final pieces by Tadeusz and his brothers, with affecting recollections (e.g. of a vase) that hold huge symbolic significance as representations of maternal presence. A fragment of a letter from Janusz (who was tortured by the Gestapo and died in 1944) and a short memoir by Stanislaw, who lived until 2008, only underline the chanciness of who dies young and who survives. The closing words, from Stanislaw, “Whatever was dearest and most beautiful in our home, was Mum,” summarise the clear intent and the poignancy of this subtle and stunning work which has been beautifully translated by Barbara Bogoczek.